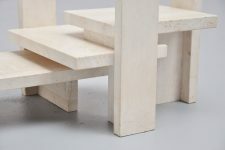 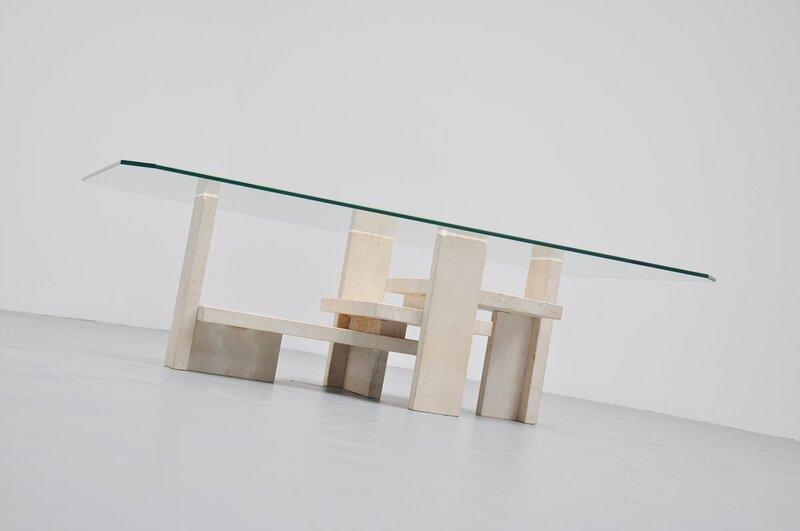 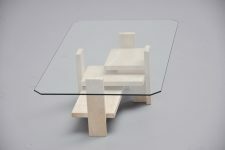 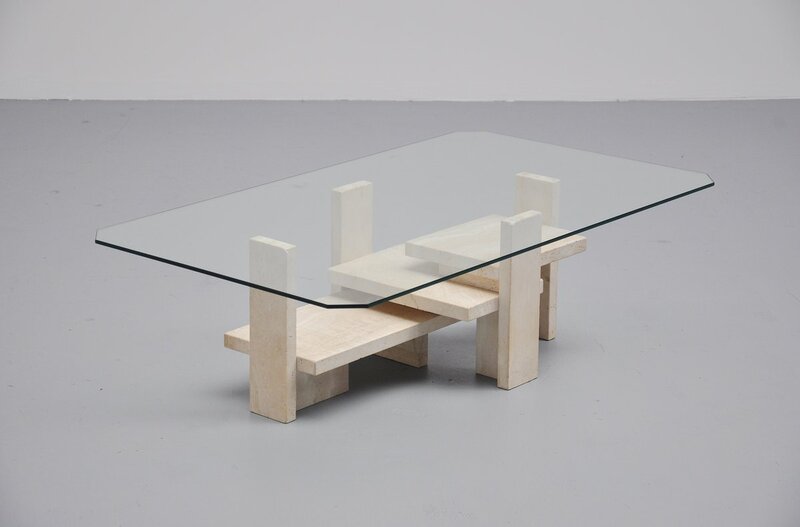 Very nice sculptural coffee table designed and made by Studio Willy Ballez, Belgium 1970. 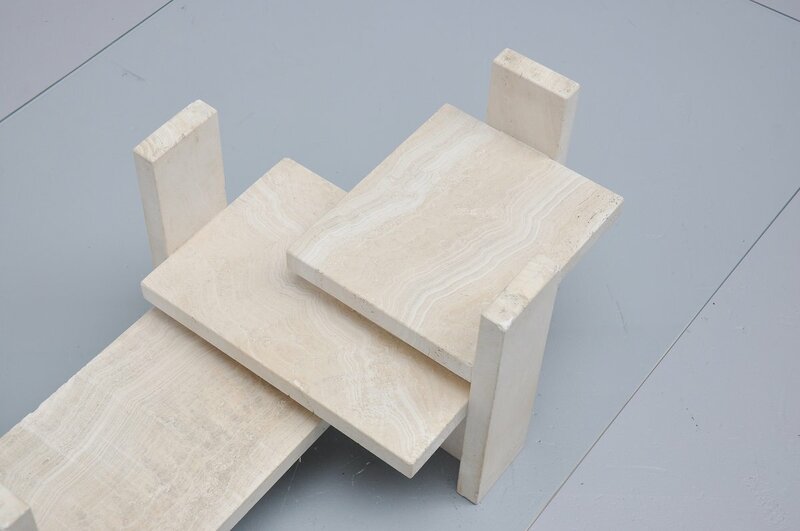 This table has a solid travertine base and a square glass top with edged corners. The table has a very nice modernist shaped base and is in excellent condition. 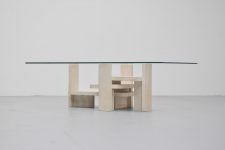 We have another nearly identical table available. All tables are a bit different because they were handmade.